Industry – O Hei There! Honda-Ya in Downtown is one of the most-popular izakayas in the city, and this branch in Industry proved to be no different (understandable especially given the “abundance” of decent restaurants in the area). We had a group of seven for dinner Saturday night a couple of weeks ago after basketball, and the place was packed. 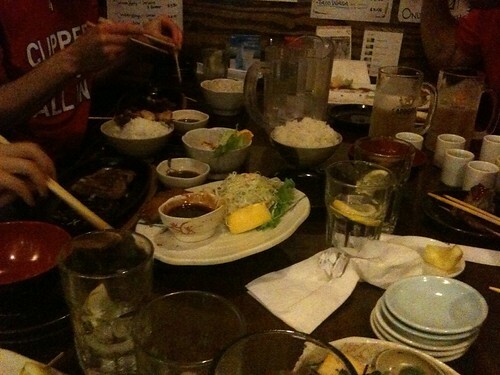 There a true izakaya-esque ambiance to the place (duh), and it gave way for a fun night of eating and drinking. 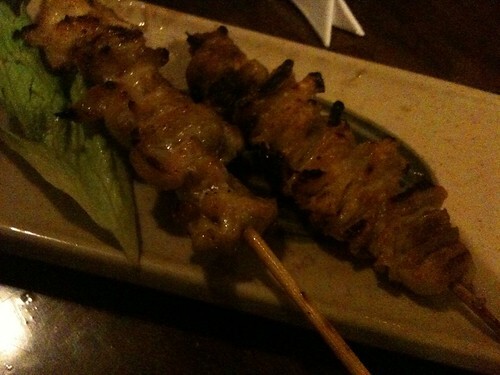 There is a wide variety of izakaya dishes, yakitori, sushi, and other types of Japanese comfort food to order. 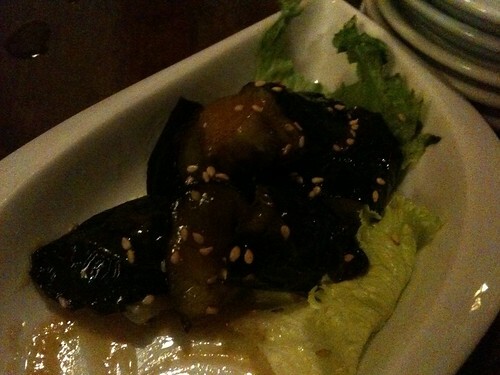 As far as the quality is concerned, it’s solid (think Sasaya in West LA). Nothing really good, but went down well with some Sapporos on draft. These types of restaurants are really fun with a group of friends; just don’t expect the world from the food.